Touch of fog. . . This is the viewshed primeval. 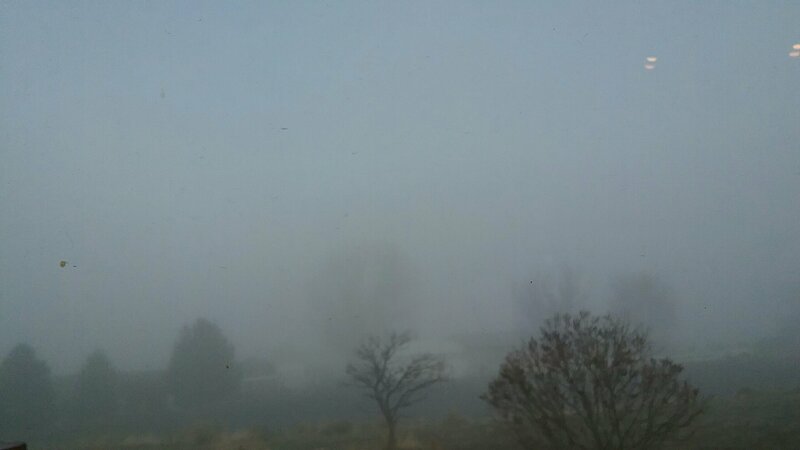 I normally have a view of the hills of Hell’s Canyon. Today I had hoped to go to Walmart, but I called my friend who works there and she assured me that she could not see across the street from her house or across the Walmart parking lot a few rows. My aspiration of new towels was dashed, utterly and for hours, if today at all.